You're our resident Regenerate Degenerate. i bet you've been waiting months to say that! Nope, just thought of it as i was responding. Groaner jokes should be spontaneous. Seriously folks, this is one mighty fine instrument. I'll do a proper review of mine at some point - honest! For the time being just let me say that it pushes all the right buttons for me. Build quality, playability and tone all stand close comparison with pretty much any bass I've ever had my hands on - a genuinely boutique class instrument at the price of an off-the-shelf model (even after Transatlantic shipping and taxes). Another beauty! 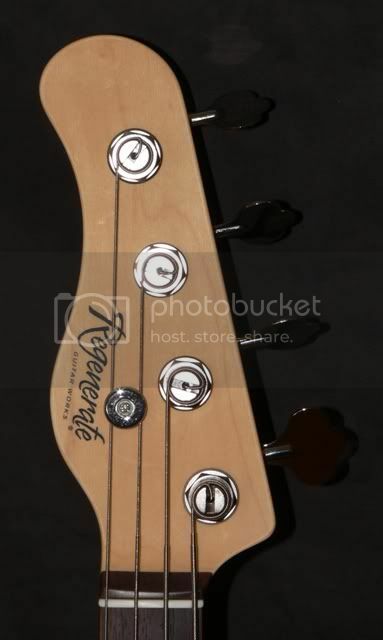 Is that a painted headstock? hey rodent havent seen any new build updates from you in a while...working on anything of intrest? +1. It's on the to-do list. I got flooded today, as -ALL- of my in-work orders (except the one I took at NAMM) arrived from the paint shop this afternoon. I should have images up in a different thread this coming weekend when I have a chance to catch my breath. Man that is gorgeous. I want candy apple red with a matching headstock and a mint green guard. 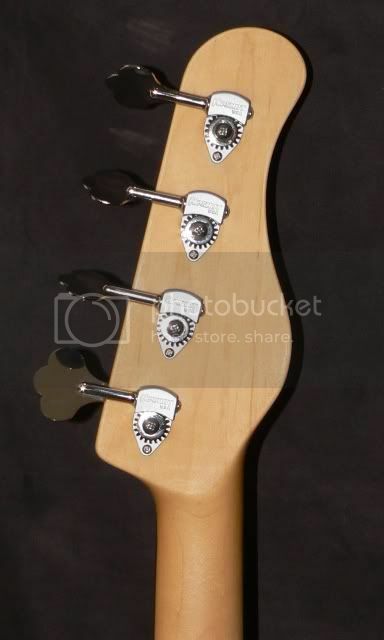 CAR with a matching headstock is definitely an available option, as is the mint guard how about some birds on that neck? Regenerate guitarworks 55 Tribute. 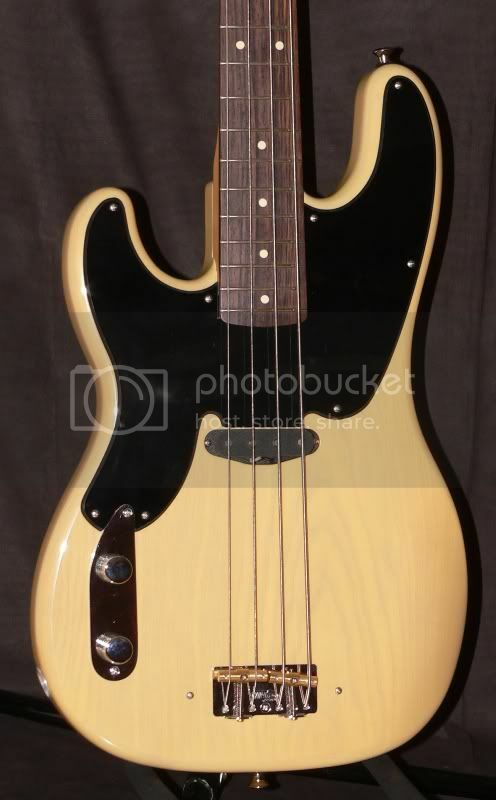 MIM Fender Jazz Vintage 70's. G&L L2000 USA made 80's. Ibanez Soundgear. Ibanez Eb3 copy early 70's. Vantage VS600B. Frankenfender Pbass. 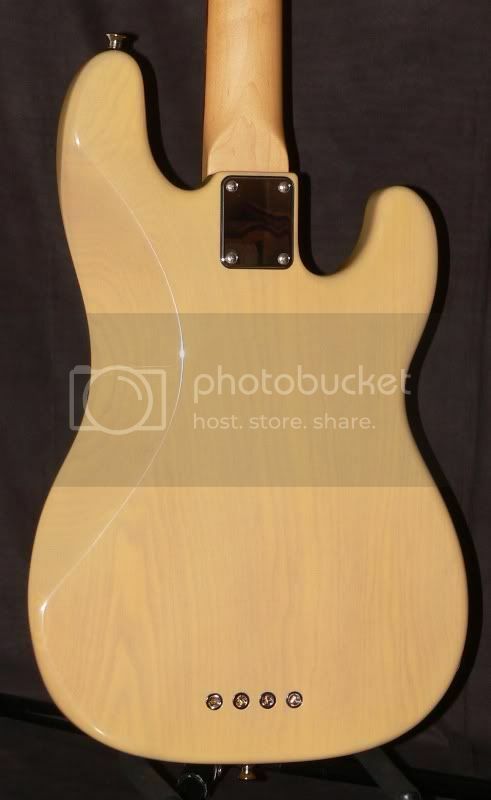 Danelectro DC. Warwick Alien 4 string Acoustic. Chinese 5 String Acoustic. 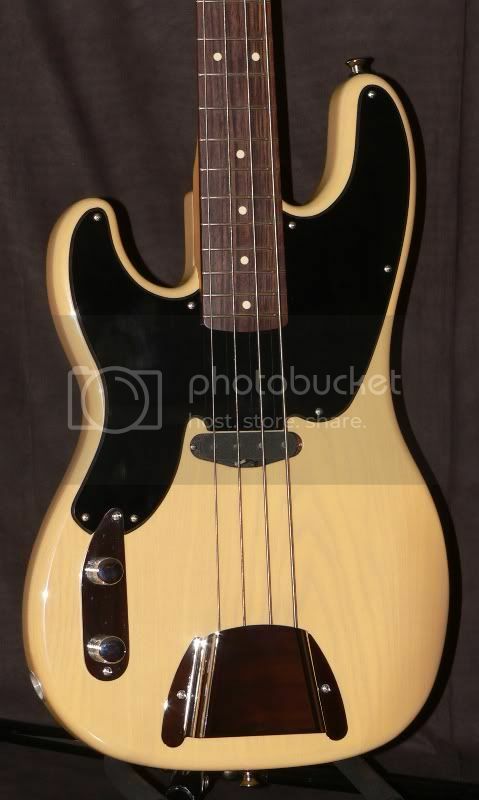 My Bass arrived a day early fantastic. can't believe the finish on this bass utterly beautiful. Guitar tech reckons he'll have it ready for me Saturday afternoon. Have a gig on Saturday night do I dare take the 55 along for a play. you bet I will. Thanks Rod for this fine Bass. Isn't it though! I still can't believe what a great instrument this is. I believe yours is identical to mine apart from the fretboard. I'll be very keen to hear what you think after you've used it a bit. Two fabulous instruments, on either side of the planet - do you think maybe we know something Rod's countrymen don't? Stunning work, Rod. Glad to see the word is spreading. Rod it is great to see that you are making this whole venture a success. I haven't had the pleasure (yet) of playing one of your instruments but the quality of your work is appearent even in pictures. Leftieray, Congrats on your awesome new bass!